Today. There are many ways to let your family know the gender of your baby. People are getting very creative with that. Hope I would know some of these idea when I had mine. I may have another opportunity some day lol. For now, is my sister in law’s turn. 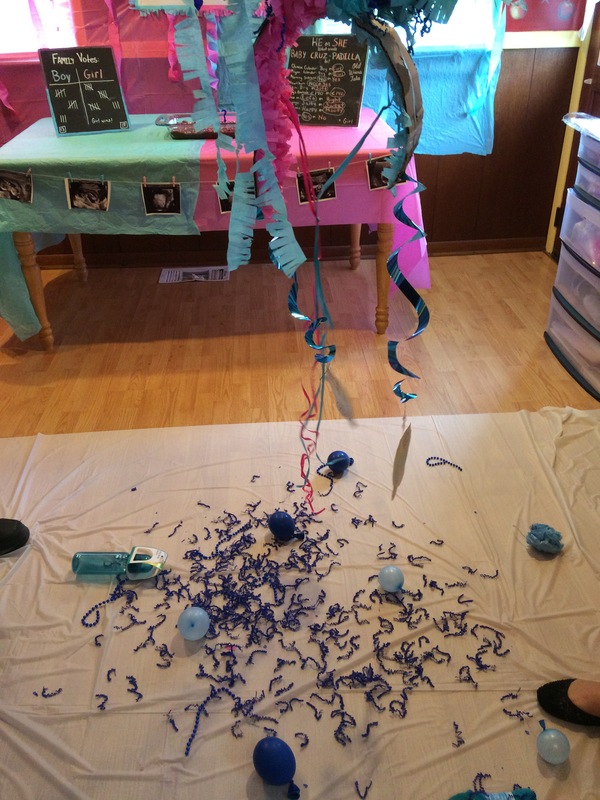 She decided that she didn’t want to know the gender of her baby, but she wanted me to know it and prepare a gender reveal party. I was so on it, that I started months before the date of her ultrasound. She decided that she wanted to do it with a piñata. All her family and my brother’s are in Puerto Rico. We are the only ones on USA, so I had to prepare everything and record the reveal moment to share it with our families. It was so exciting! Anyway, this project is about that piñata! I didn’t take pictures or videos in the process but is easy to do. 1. Start drawing your pattern in a piece or cardboard. This time I use the shape of a baby onesie. I draw it by hand measuring with the ruler to make sure every side is the same size and the lines are straight. 2. 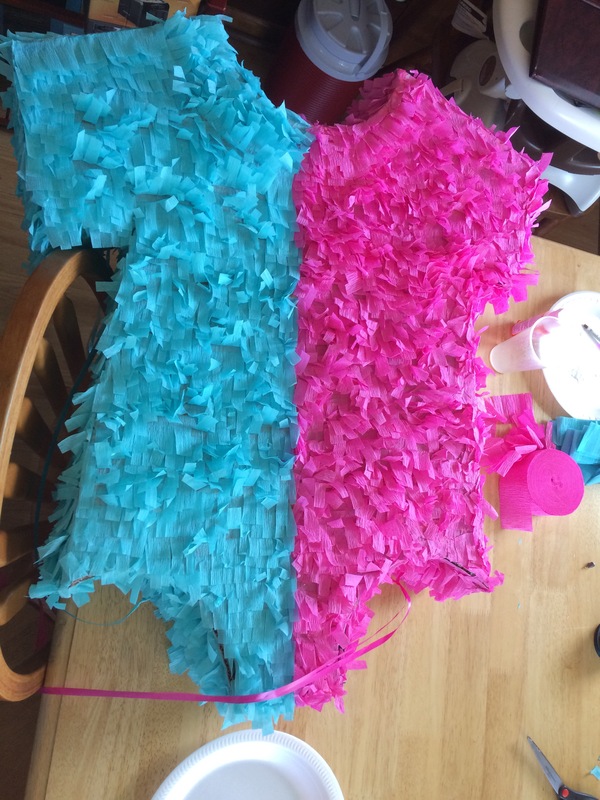 Cut the pattern with a Exacto knife and then use this patters to make the other side of the piñata. Draw and cut it. You must have 2 pieces in baby onesie shape. 3. For the sides, cut 5 inches wide cardboard strips. Enough to cover the sides of the piñata. Before start glueing everything, make sure the strip are enough to make the sides all around the onesie shape. 4. 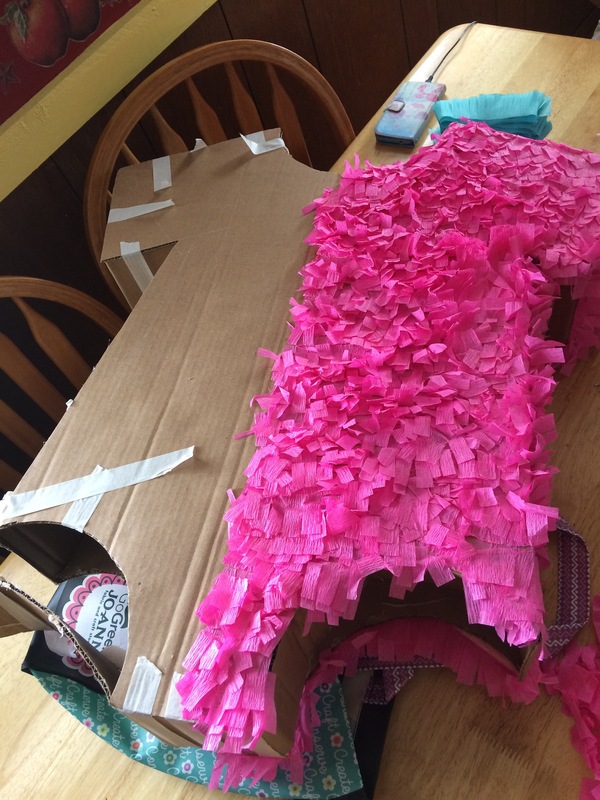 Take one of the onesie shaped cardboard and start glueing with hot glue around the edges of the onesie shape. Bending it to make the shape all around. After that make two little holes in the neck part of the onesie and put plastic ribbon though them and tie them together. 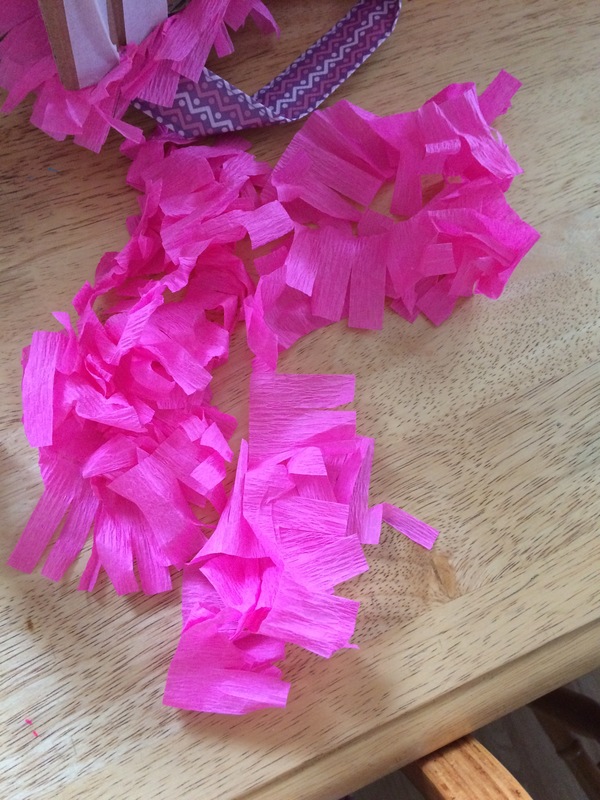 It will be the ribbon that would be attached to the tree or ceiling to hold the piñata. To make sure everything stays in place, I put some paper tape too. 6. With the exacto knife cut the leg parts so they can open in both sides but still attach in the center. Make 2 holes in every side, insert some plastic ribbon, tie them together in each side and then both sides in the middle. These are going to be the strings you are going to pull to open the piñata. 7. Now is the most difficult and important part… Decorate it. 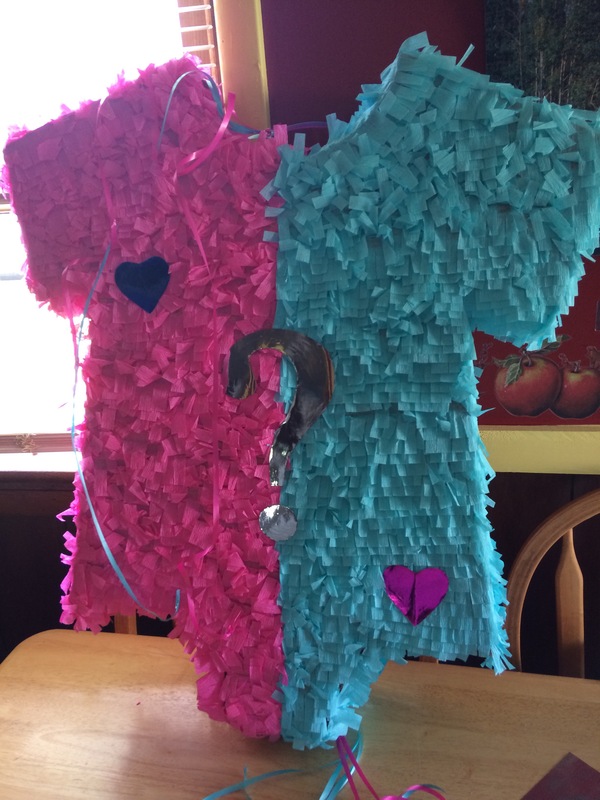 Draw a line dividing the piñata in two parts, one would be blue and the other pink. 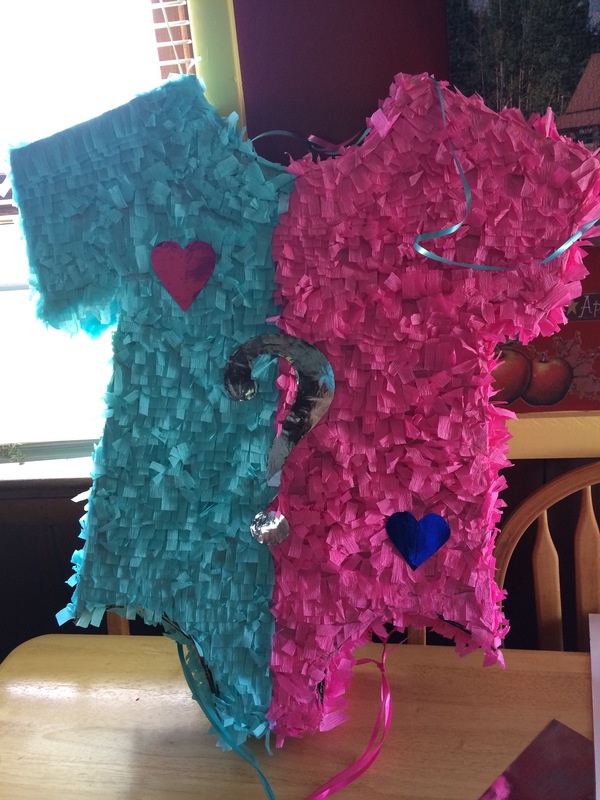 Fill the piñata and close every side with a paper clip to prevent it from open before the right time. 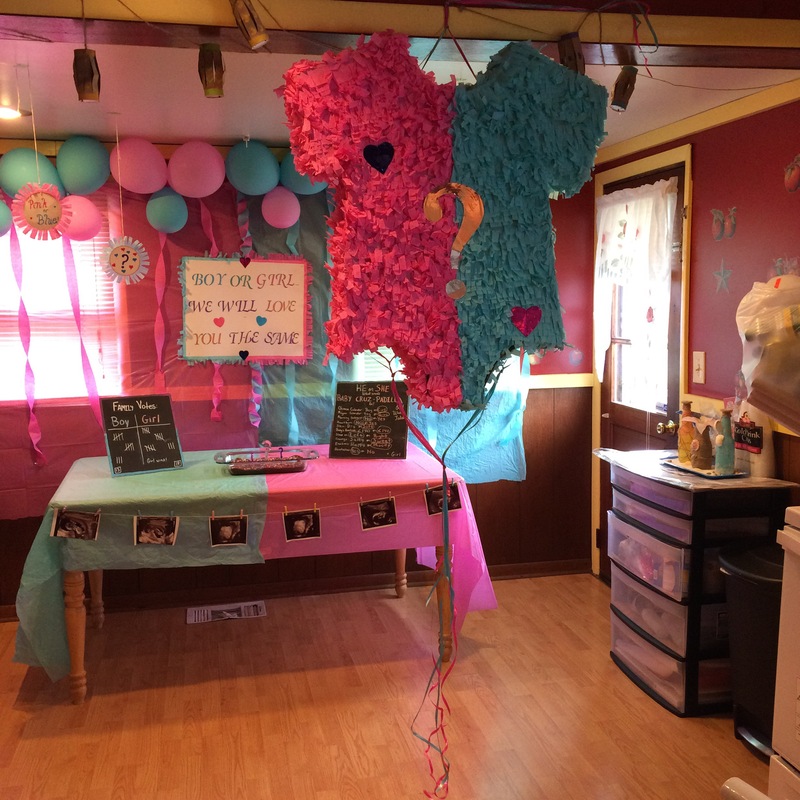 Now you are ready to throw a good and fun Gender Reveal Party!